I can't help but think of Captain America, Ironman, and The Incredible Hulk when I see this bar. 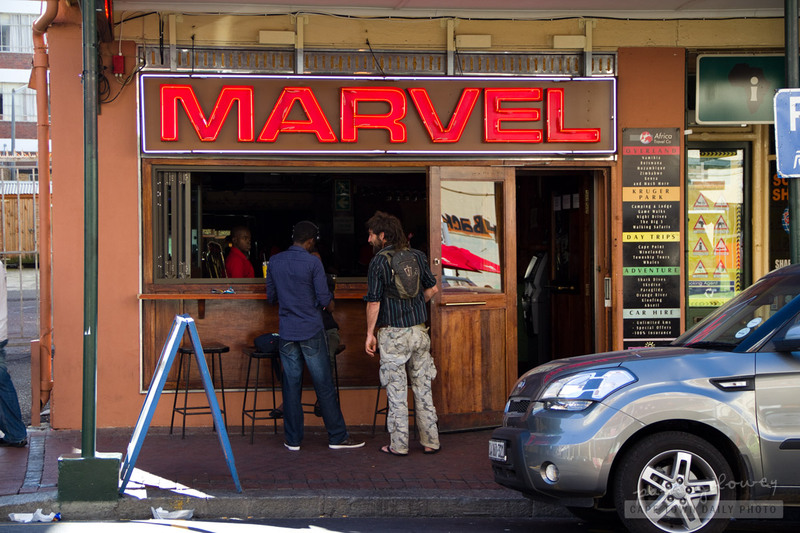 Located at the top of Long Street in Cape Town, Marvel is rumored to have the friendliest staff and most chilled beats in Long Street. Posted in Activities and tagged bars, city center on Saturday, 29 October, 2011 by Paul. Marvelbar on long st is The place 2 be! The staff is great and Nice! They have The Best dj there,(Dj Famous)in my opinion! And the guest and atmosphere is to die for! i went to Marvel for the fst time and felt welcomed the staff amazing …….the music my lord luv it ..and they hv the bet dj i would luv to go the again ….